Great idea, does what it says on the tin. Sometimes we can be so detached from our environment, this is a stark reminder that we can each do our bit. Save paper. 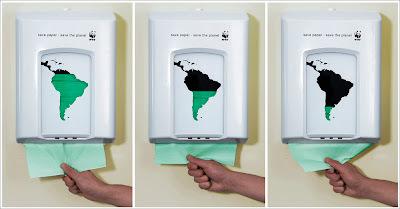 Save the planet.